I know, I know, I am talking about the home water filtration all the time. But, what actually happens with water outside of your house? In this article, I will explain how does the water treatment plant work. What methods and processes are used, and what actually happens with water after the treatment. Then let’s dive into the cycle of water when it leaves your house. What Happens with Wastewater After It Leaves Your House? Is Industrial Wastewater Treated Differently? What Happens with Water Afterward? You have flushed the toilet or turned the tap and water run down to the drain. The job is done for you, as you don’t have to do anything else with it. But certainly, the job is not done for water. It needs to pass quite a complicated process of filtration before it can be released back to nature. To begin with, let’s talk about all the options of what can happen to the wastewater. Three most possible scenarios happen with the water. Scenario #3 is the one I will talk about in this whole post. This is a safe option only in the case that the wastewater does not contain any chemicals and most of the waste is organic. Usually, water is absorbed by the ground which works like the filter. The ground will decompose all the waste and can use it even to improve the quality of the soil. This might also wholly destroy your land if you release wastewater contaminated with chemicals and other inorganic compounds that cannot be decomposed. This can be plastic or for example painting chemicals. So, please bear this in mind. Have a quick look at the picture above. I think its pretty self-explanatory, but I will briefly describe it anyway. The septic tank is usually placed under the ground. Wastewater is collected in the tank. As you can see from the picture septic tank uses sedimentation method of treatment. All the sediment waste is collected at the bottom of the tank and water is then released to the second chamber. From the second chamber, reasonably clean water is seeping by the ground. Note, that you can also add an additional septic chemicals to treat the water in a tank. This is probably the most common scenario. Flushed water is going through the sewer network to the local treatment plants. Let’s dive in and explain all the processes I have mentioned above. To be fair, I wouldn’t say that the difference between your home filtration and large wastewater treatment plant is big. The only difference is obviously a scale. At home, you are treating tens to hundreds of gallons a day. The plant needs to be able to purify sewage from the whole town or even several smaller towns. Let’s dig a little deeper into each stage. Before water is actually treated by the main filter, it needs to be pre-filtered. Just think about it for a while. Sewage water contains all sort of physical, visible materials in water. Food waste is an excellent example of such contaminants. 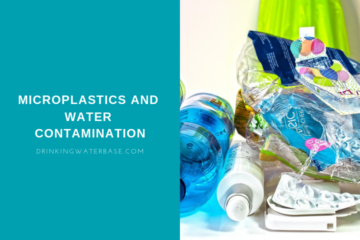 Other contaminants that fall into this category are garbage, cans, tree limbs, or plastic. Pre-treatment stage removes all impurities that can be removed by hand. This needs to be done beforehand to protect the primary filter. Some of the bigger treatment plants also remove fat and grease out of the water at the pre-filtering stage. Primary filtration is made of large basins and sedimentation tanks. This stage is also known as sedimentation stage. Well because all the sediment is settling on the bottom of the tank. The sludge sediment is then pushed by mechanical scrapers into separate sludge treatment facility. Different treatment plants have different layouts. For this reason grease and oil I have mentioned in the pre-treatment stage, might also be removed in this section. So, if it hasn’t been done in a pre-filtering stage, it will be removed here. Collected grease and oil is sometimes used for soap making. This is the point where most of the real waste is removed out of the water. What follows next is the invisible waste that is actually way more dangerous than the visible one. So, let’s not waste our time and jump straight into the topic of biological treatment. As you can probably imagine there is quite a lot of organic waste in water such as sugars, fats, etc. Basically, the secondary stage removes all the organic matter out of the water. Water is mixed with air and microorganisms. Basically, microbes consume organic matter such as food and human waste. Microorganisms are then removed from the water and are either re-used again or are used in agricultural application. Bear with me as in next chapter I will have a look at different methods that are used for the filtration. In most cases, this is the last and final stage of filtration. As most of the filtration has been done in previous stages, the tertiary stage removes phosphates and nitrates out of the water. This stage also improves the overall water quality, and disinfection is done at this stage as well. In addition to that, there is one more stage that is not widely used and is more in a developing phase. 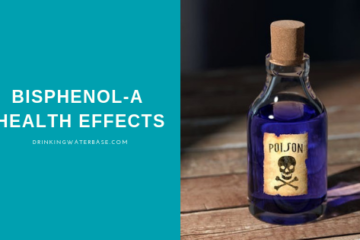 Some of the contaminants have such small molecules that can pass through all the stages and are still present in water. Most of the time such pollutants can be pharmaceutical or chemical ingredients used either at home or by businesses. As you have probably guessed this stage is designed to remove such microelements out of the water. The wastewater treatment topic is a very vast topic, so I was trying to make it as simple as possible to you. I have included a nice explanatory video below that shows how all the stages work together. It’s easier to watch than read to be fair. I have described a process of water treatment, and now I will explain methods that are used to treat water. Organic waste and odor are closely related to each other. It is quite frequent that one usually leads to the other. Just want to point out that there are so many methods to treat this but the biological one is probably the most used and common nowadays. This way of filtration uses sand filtration and biological film to oxidize water. The technology is quite simple as you can see from the picture. Water is equally distributed via rotating arms also known as ports. Essentially, oxidized water runs through the biofilm filter media. The organic matter in biofilm consumes organic matter and turn it into the carbon dioxide, water, and energy. This was just a high-level overview, but if you want to know a bit more, I have found this great video with the further explanation. To kill the bacteria and viruses presented in water there are two options. First and the most common is a well-known chlorination. The cost of such method is low and the effectiveness high. The way it works is simple chlorine or chloramine is dissolved in water and kills the bacteria. Another way that hopefully will replace chlorination in a near future is ultraviolet treatment. The ultraviolet light is powerful and causes damage to the DNA of bacteria and pathogens. Those are then unable to reproduce and die. This method is safe as it doesn’t involve any chemicals. The water treated this way won’t cause any harm to anyone drinking it. You are probably wondering what is happening with the sludge that is collected from the water. There are so many ways to treat the sludge: thickening, dewatering, phosphorus recovery, but probably the most common method is digestion. The purpose of digestion is to reduce the organic matter and kill the number of microorganisms that can cause the disease. Both types are similar. In both microorganisms are breaking down the organic matter in the sludge. The difference between is that the anaerobic digestion is consuming organic material without the oxygen. During this procedure, the high level of methane is created. This is the crucial advantage. During the aerobic digestion, bacteria are consuming all the organic matter until they have nothing to consume and die. As they die, they serve as the feeding material for new bacteria. The main output of aerobic digestions is carbon dioxide. As you can probably see from my list the variety of industries is so broad. It is just impossible to use the same wastewater treatment plant for all of them. In some industries companies are responsible for the water treatment themselves. Water has gone through all of the processes where is it going next? How does it get a second life? Treated water is released back to the rivers, lakes, ponds, and seas. Generally speaking, it is released back to nature where it belongs. So, one way or another we are drinking recycled water already. On this note, I would like to finish this article. Now, when you know all the background information of what is happening, it is up to you how you are going to contribute to water consumption in your household. I would love to hear your thoughts in a comment section below.